If you want a hot lunch at work, but the office microwave frightens you, what are your options? Toaster oven? Hotplate? Crockpot? Maybe that's a little too much. 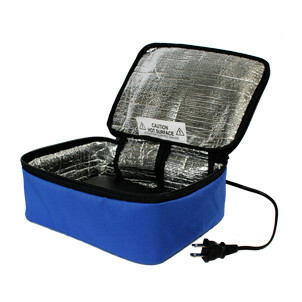 How about a little insulated container that heats your food and keeps it hot? 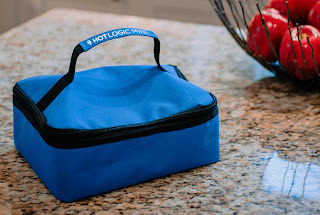 That's what the Hot Logic Mini ($49.97) is - a lunch-sized insulated bag with a carrying handle. A heating plate on the bottom takes care of warming food slowly and gently, and it keeps it warm without burning it. The general idea is that you put your lunch in the unit when you get to work, and by lunchtime the food is ready to eat. The interesting thing is that you can use it with plastic containers, and prepared frozen foods in their original packaging. Of course glass and metal containers are fine. As long as the bottom of the container is flat, and it's not something that melts at a low temperature, like a plastic zip-top bag, it works. It's also suggested that the container be kept closed during the heating. I tested it with a square plastic Ziploc container filled with soup that started at refrigerator temperature. After four hours, it was hot but not crusty or scorched. To see how quickly it would heat frozen food, I put a tray's worth of ice cubes into a 2-cup plastic Ziploc container, shoved a remote thermometer in, sealed the container around the probe, and zipped the unit closed. It reached 140 degrees in about an hour, and continued to climb to a high of about 173 degrees. It stayed pretty steadily at that temperature, occasionally dropping to 172. I left it overnight, and it was still at 173 degrees the next morning. 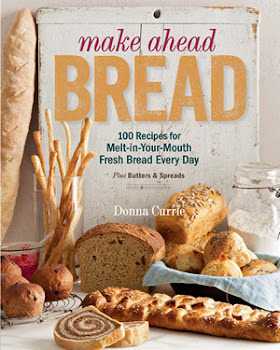 This is absolutely great for heating home made foods, and it can also cook foods that don't need higher temperatures. Anything that needs to reach a boiling point or that items that would benefit from browning probably wouldn't fare well, so it might take a little bit of experimenting to see exactly which pre-made products work the best. Starting on 6/17/2013, you can get $10 off the Hot Logic Mini with the promo code EAT. I'm not sure when it ends, so just give it a try. This was previously published on Serious Eats. The product was provided for the purpose of a review.